Ferrari is a brand we talk about often, frankly, because it’s one of best brands in the world. And while that is the main reason, another good reason is the diversity of their cars. Sure, they’re all supercar quality with exorbitant price tags. But within that niche, you have a drastic divide. Want a balls to the wall supercar with more power than god? Ferrari has you covered. Want a luxurious ride that can take you cross country with out a second thought? Ferrari also has you covered. When you focus on the later of the two groups you end up looking at cars like the F12, or even the new 812 Superfast. 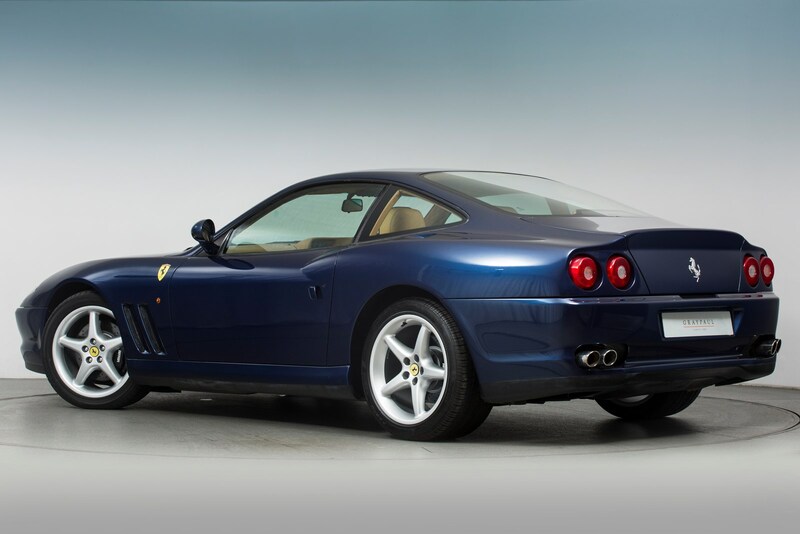 But the car that spawned the new generation of ‘grand tourer’ from Ferrari is none other than the 550 Maranello. The 550 was truly incredible when released in 1996, and yet it seems so under appreciated. With a 5.5-liter V12 up front and a transaxle out back, the 550 was a work of art. With a body designed by Pininfarina and an engine layout that hadn’t been used since 1973, the Maranello was a shot in the arm for both Ferrari and the entire supercar scene. Thankfully the 550 Maranello is finally getting the accolades it deserves. Part of this new generation of appreciation comes from one simple yet surprising fact. 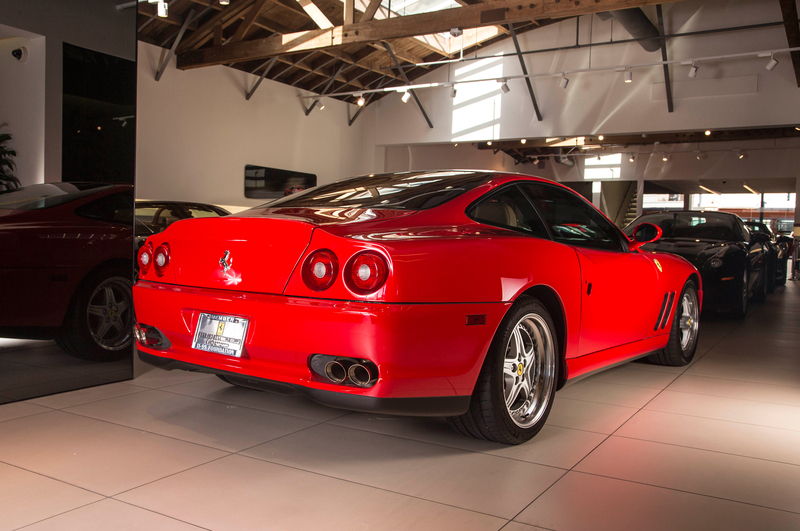 The 550 Maranello is the last V12 Ferraris to come standard with a 6-speed manual transmission. Because of this, the 550 is slowly being considered the last ‘grand tourer’ that is still a true driver’s car. The Maranello offered a balanced package of performance, luxury, and usability. Because of the front engine layout the 550 is chalk full of space, this means there’s plenty of room for your luggage as well as room for that massive gas tank. With 25 to 30 us gallons on tap you can easily cruise across the country, something every Ferrari enthusiast should want to do. In 2004 Evo magazine held a ‘Greatest Drivers’ Cars’ Shootout, featuring cars from the past 10 years. 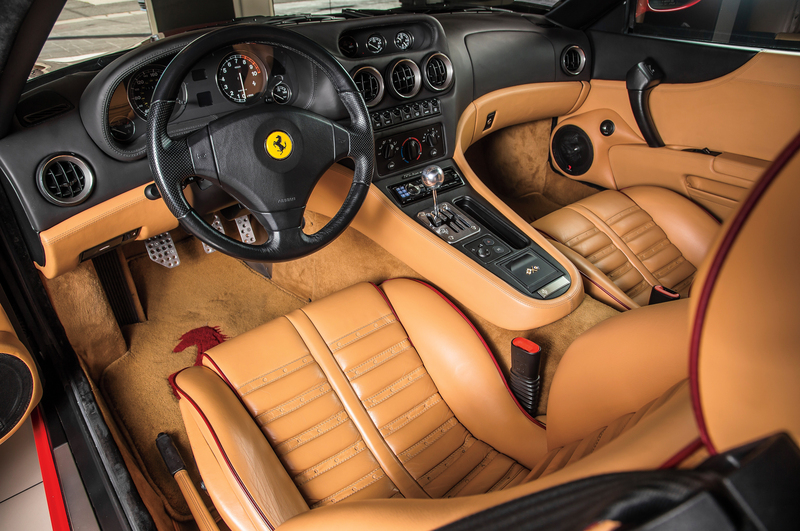 The 550 Maranello ran away with top honors with ease. Evo even said, ‘As with all great cars, there’s no one facet that dominates the experience’. ‘Yes the engine is mighty, but the chassis is its equal. There’s never been a supercar that’s so exploitable and so rounded in its abilities.’ Some serious accolades considering the competition. Even if the 550 Maranello was less of a performer, it still had all the styling on its side. Every single detail from the Maranello breaches perfect. The body is long and angular with out being two ‘aero.’ Then you have he interior. While cars from this generation are often regarded as having the worst quality the 550 manages to come out looking fabulous. Sure, it had some serious quirks. But name one Ferrari from the last 50 years that hasn’t had at least one glaring feature. Overall the 550 was an epic package, and it’s no wonder they still sell for a hefty price tag. While I could go on and on about all the great aspects of the Maranello, I’d rather let someone more qualified take the reigns. Harry Metcalfe is a man that needs no introduction. With a wealth of automotive knowledge and several thousand miles behind the wheel of his own Maranello, Harry is the man to give you all the details of such an epic car. Check out this episode of Harry’s Garage, it’s one of my all time favorites.